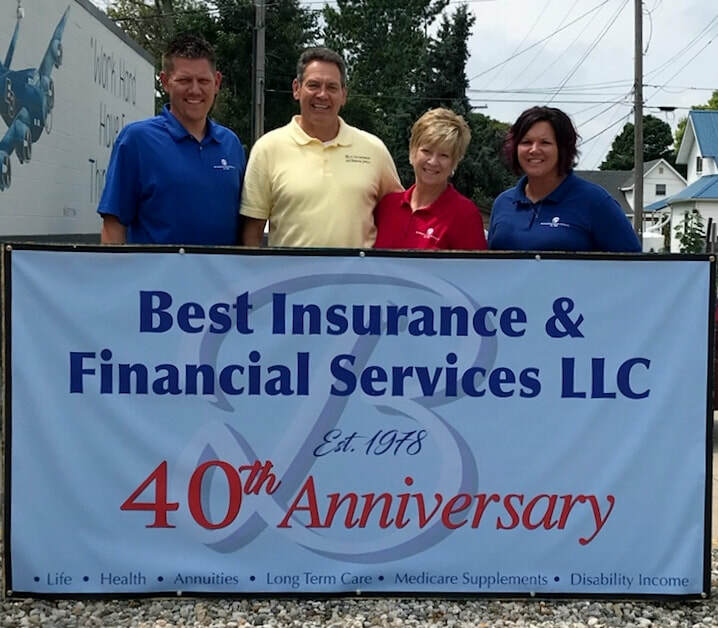 Best Insurance & Financial Services LLC is a local leader in the Insurance and Financial Industry. We are here to assist you and your family whether it be for Retirement Planning, 401k Rollovers, Health Insurance, Life Insurance, Disability Insurance, Long Term Care, Medicare Supplements or Prescription Drug Coverage! We have remained an independent agency since 1978 and that allows us to find the best companies and products for you, not us! ​Representing over 150 companies today in 3 different states (OH, IN, MI), we will continue to go the extra mile for our clients and treat you like our family. ​We live everyday by our motto, "Where the Customer Comes First" and we stress to our clients "If you're happy tell someone else, If you're not tell me"!